Career development Archives - Fast Mirror - 360-Degree Feedback. “I love filling out applications!” said nobody, ever. Applications are associated with bureaucracy, inconvenience, and let’s be honest, pain and torture. HR has come a long way and is still working on making applications less painful and even questioning their necessity in some cases. For example, job applications are generally still required, but have now been simplified or delayed until candidates are further along in the selection process. With the emphasis on user-friendliness and efficiency, it makes complete sense that if you run a mentoring program for employees, you would do your best to avoid a mentoring program application, if possible. What do you think, should mentors be required to go through an application process to be in your mentoring program? What about protégés? Is it enough for them to simply express they want to be mentored? Why put them through an application process if you already know they are interested? If you are implementing a mentoring program for employees, you may be faced with these questions. There are viable reasons to justify each side of the issue. On the one hand, requiring participants to go through an application process may be perceived as a good idea because it provides structure and participant criteria that would be difficult to incorporate without it. On the other hand, a formal application process for your mentoring program may be perceived as too resource-intensive to justify. In practice, most companies have opted for the latter. A recent benchmarking study conducted by Art of Mentoring found that just 32% of organizations with mentoring programs have a formalized application process for matching mentors and protégés. Here at Fast Mirror, we side with the 32% minority. 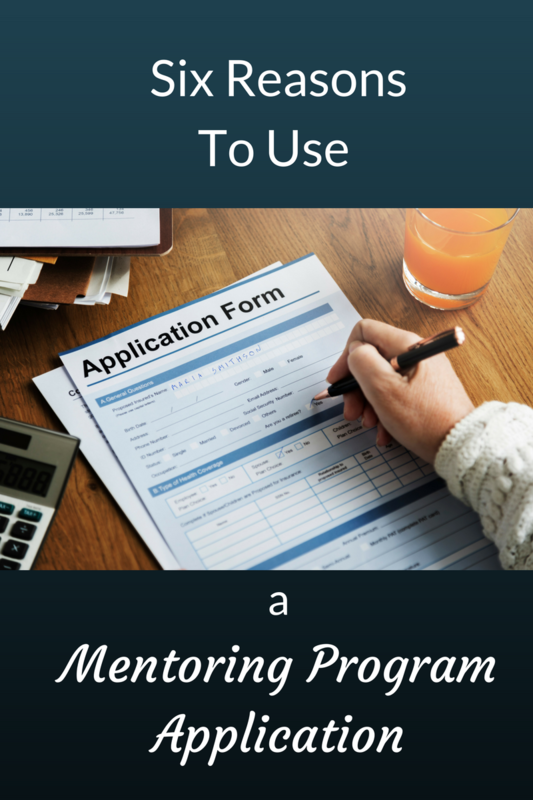 The benefits of using a mentoring program application far outweigh the resource concerns. Moreover, resource concerns should not be an excuse to reduce the quality of your mentoring program. It is indeed possible to implement an application process that is not resource intensive. With integrated talent management systems, automated survey tools, or even a well-designed spreadsheet and email system, you can set up a mentoring program application that is manageable and simple, yet meaningful. While there is a bit of planning involved to get it started, in the long run, it will be to your benefit. Here are six examples of those benefits. Reason 1: Opportunity to screen participants for motivation. Few people will tell you they would decline a mentor if it was offered to them. But what happens when they must do a little bit of work to get that mentor? Requiring participants to go through an application process can screen out the least motivated individuals. These are the individuals that are not even motivated enough to apply to be mentored, so will likely not be motivated enough to participate in mentoring program activities. Requiring applications can also help identify the most motivated individuals. These employees will submit their applications early and may even provide you with more information than you need. Though potentially inconvenient, it can be beneficial to know in the beginning who your most motivated participants are because they can provide you with valuable feedback throughout the duration of the program. Reason 2: Opportunity to assess protégé readiness. Mentoring is a hot topic right now. It might seem like everyone wants to be mentored. It’s funny that while coaching can be viewed as a stigma or sign of weakness, mentoring has the opposite perception such that Training Journal has even proclaimed “mentoring is the new black.“ So, you might find yourself in the position of having many more protégés raising their hands to be mentored than mentors offering up their time. Unfortunately, not everyone that says they want to be mentored is ready to be mentored. To be successful, mentoring needs to be timed right. Protégés must be willing to commit to their goals and put in the work to achieve them. They need to take ownership of their professional development. They need to communicate with their mentors and take accountability for making that communication happen. They also should be willing to solicit and accept feedback from others. The fact is, it takes a lot of work to be mentored and it has the potential to get uncomfortable for some people. If you have an application process in your mentoring program, you can address these issues from the start. Not only will it allow you to identify individuals who are simply not willing to make the commitment and do the work, it will also help identify individuals who are willing to do it but don’t realize the timing isn’t right. By asking the right questions and having candid conversations, you can screen and level-set potential protégés for program requirements before investing in them as program participants. Reason 3: Some popular leaders are just not good mentors. Oh HR, I know you’ve been there. There’s a well-known leader in the organization that everyone wants as a mentor, but in truth, that leader is not skilled at helping people. Maybe there have been some issues with direct reports. Maybe there have been some policy violations. Maybe there’s a juicy story that explains why this person should never ever mentor anybody, but you can’t repeat it to anyone or you’ll get fired. Program criteria and participant standards apply to mentors too. Having mentors go through an application process can help establish and maintain standards for your program. You can be flexible in terms of the level of rigor and stringency you apply, depending on your needs as well as the politics. A simple example would be requiring that mentors have not had any substantiated violations or disciplinary action within the past two years. On the opposite end of the spectrum of complexity, you could select mentors as you would select a new leader or employee by putting them through a series of assessments (interview, 360 feedback, review of performance data, etc.). The latter suggests that the organization has more potential mentors than are needed, which unfortunately is usually not the case for companies. Still, just because you need mentors for your program does not justify a mindset of “we’ll take whatever we can get.” You owe it to your protégés to at least make sure there is a minimum standard that mentors must demonstrate. Reason 4: Allows for better matching of mentors with protégés. Matching protégés should be based on more than scheduling limitations and location proximity. It should be approached with the goal of maximizing protégés’ success in the mentoring program as well as the mentors’ overall experience. Asking protégés and mentors about what they seek to achieve and what they’d like out of the mentorship increases the chances that participants will be matched with a partner that can help them reach their goals. For example, if I seek a mentor to help me navigate organizational politics, I can be matched with a mentor who is skilled in that area, but only if this information is collected ahead of time in the application process. Reason 5: Provides you with data early in the program that can be used to measure program effectiveness. It is common for organizations to rely on anecdotal feedback from mentoring program participants as evaluation data for the effectiveness of the mentoring program (see the Art of Mentoring study referenced above). While anecdotal feedback is fine as a data point, it should not be relied on as the sole measure of program effectiveness because it is difficult to link to goal attainment. Ideally, you should measure the effectiveness of your mentoring program by determining whether stated goals and objectives were attained by the protégés. You should also link that goal attainment to organizational-level objectives, such as a decrease in turnover or increase in sales revenue. Collecting information about participant goals and objectives as part of the application process gets you thinking about this evaluation from the start. By having early access to protégés’ goals and expectations, you position yourself with the ability to think about what data you’ll need to collect to measure the success of that goal. For example, if I indicate on my application that one of my goals is to promote to the next level within 18 months, the program administrator can start tracking that data at the beginning of the program rather than having to backtrack over a year later. Not only does backtracking have the potential to be an administrative nightmare, it is much less likely to occur simply due to the passing of time. Reason 6: Having an application process provides consistency. There are several reasons consistency is warranted for mentoring programs. First and most obviously, it sets the foundation for fairness and helps control for the impact of unconscious bias on decisions regarding who to accept into the program. Second, consistency helps you form routines. If you plan on running your mentoring program on a regular basis, you will benefit from developing these routines each time you begin a new cohort. Ultimately, these routines will save you time in preparing for and implementing your mentoring program. Finally, consistency can be helpful when problems surface. For example, suppose there is an employee that was recently disciplined for bullying another employee, who wants to participate in the program as a protégé? Having an application process with standardized criteria for participation can help address the issue because you already know what is and is not permissible. While you won’t account for every possible consideration from the beginning, you can continue to refine your application criteria and process such that each time you implement the program, you are increasingly prepared for potential challenges and less prone to “surprise” situations. Hopefully, these reasons have convinced you to incorporate an application process in your mentoring program. What do you think are you convinced? Why or why not? What has your experience been in this area? Share in the comments! Do you believe in the importance of feedback? Do you value it and think of it as an important component of your career development? If so, you don’t need to read any further – although this post will validate your perspective. This post is for those of you who do not believe in the importance of feedback. You know who you are! You’re the ones that say things like “I don’t care what other people think”, “I’d rather not know the truth”, or something similar that rationalizes why it’s ok to ignore or deny other people’s opinion of you. Depending on your goals, this may be a fine perspective to have. On the other hand, maybe it’s not. Are you also somebody who has career goals? Are you looking to move up in your career? Maybe get promoted or move to another department or role? If so, and you also don’t value feedback, you’ve got a bit of a problem. The truth is, feedback is a critical component to your career growth. How can you continue to develop your skills if you don’t know what to focus on? Do you really believe you are your own best judge? It’s totally human to view feedback as scary, and I don’t expect you to be excited about seeking it after reading this post. But I do hope you’ll view feedback as necessary tool that contributes to your career development. If you really want to move up, you need to be open to receiving and acting on feedback from a wide range of your colleagues, friends as well as frenemies. Here are three reasons why. That said, you do have indirect control over what others think of you through the behaviors you choose to demonstrate and the words you choose to say. Would you rather people think poorly of you behind your back while you continue on none the wiser? Even if you say you don’t care, it’s a dangerous risk to take at work. By playing down the importance of feedback and disregarding what others think of you, you risk being impacted by those perceptions when decisions about you are made (e.g., that promotion you’ve been hoping for). As discussed in this HBR article, many promotion decisions are made subjectively based on reputation and unstructured perceptions by leadership. In other words, you may believe you’re a rock star candidate for that role, but the fact that the leadership team believes you have certain shortcomings is going to prevent you from getting the job. If you never have the chance to learn what those shortcomings are, how will you achieve your career goals? The best way to fix this is to seek specific feedback to identify the areas you need to improve, then create and implement a plan to do that. Check out this post and this post for guidance on how to do this. You may be familiar with the power of positive thinking and its many benefits including health and stress. The notion is, think positively about something and your situation will improve. It turns out the same rationale may apply to feedback. This research study found a positive relationship between people’s attitude toward feedback and the feedback ratings they received from peers and direct reports. Individuals with higher feedback ratings from peers and subordinates had more positive attitudes about the overall feedback and development process. Though it’s debatable whether attitude impacts feedback ratings or the other way around, the key point for anyone interested in improving his/her reputation with peers and subordinates is that attitude matters. These are just a few reasons why feedback is important. What do you think, have I changed your mind about the importance of feedback? What will you do now that you see the light? Share with us in the comments! If you’ve ever hired an employee, whether you’re a recruiter or a hiring manager, you’ve probably experienced the challenge of finding qualified candidates who are willing to take ownership of their career development. You probably have not thought of the issue in this way, or even realized that you have this problem. You probably thought about it more generally. Perhaps you said something like, “I wish I could find a candidate that has more ambition” or “drive.” Maybe you said, “I’ll know it when I see it,” but never found it. After achieving only moderate success, you may have thought you were asking for too much and concluded you were hunting the elusive purple squirrel. It’s tough to find that rock star person that not only has the perfect blend of job-related skills, but a personal interest in driving and owning his or her career development. It’s now well accepted that employees need to own their career development. And while a new employee will initially need some guidance learning the ropes, it’s reasonable for an organization to expect new hires to start demonstrating this ownership once settled into their new roles. But how does one identify candidates that will own their career development in an interview? If you’re doing interviews the right way, you’re using a structured approach. You identify questions linked to specific skills and competencies, use pre-defined scoring criteria, and you probe appropriately and deeply to collect insightful data about your candidates. You may be very skilled at performing these types of interviews to assess technical skill in your candidates, and you probably take this approach to assess competency-based behavior (leadership, decision-making, etc.) as well. Many companies include the concept of self-development or continuous learning in their core competency model. Sometimes they include questions designed to assess that competency in interviews. Questions such as “What do you do stay current with your career development?” or “What conferences did you attend this year?” are common examples. But these questions are fairly general, so without extensive probing they will only yield broad, non-specific information. Moreover, the scoring criteria (aka behavioral anchors) associated with these types of questions are typically broad as well. A high scoring response looks something like “consistently and proactively takes independent action to seek continuous learning opportunities”, while a medium level answer is described as “sometimes takes action to seek continuous learning opportunities.” Wha-whaaat???? Does that help you distinguish between a candidate who is highly focused on owning his/her career development and one who is willing to own it, but passively? No. To assess candidates for their willingness to own their career development in an interview, you need to apply the same level of rigor as you do for the technical requirements. You need customized questions designed to elicit specific behaviors and actions the candidate has taken and is taking regarding his/her career development. A clear picture of what that behavior looks like at the strong level and what it looks like at the moderate level is also required. Here are some examples of questions and scoring criteria you could apply to your next interview. Use them as a guideline to build your own a pool of questions and scoring criteria. You will likely need to expand or modify some key points to fit your company’s philosophy. You should also be sure to include frame-of-reference training for all interviewers to minimize rater error (i.e., make sure everyone is on the same page!). Most importantly, you should only be asking these questions if your company supports and drives a culture of self-owned development. 1. Tell me about a specific competency or skill you recently identified as an area to target for your own improvement. What did you do to develop it? Strong answer: Identifies a specific competency or skill that s/he worked on for improvement (e.g., “I determined I needed to give my direct reports more and better feedback because I was not providing it often enough and when I was, it was vague and they didn’t know what to do with it.”). Created and implemented a plan to improve in that area. Cites demonstrated improvement in that area via measured results (e.g., better feedback from direct reports in a 180 survey, etc.). Moderate answer: Identifies a general competency or skill that s/he worked on for improvement (e.g., “I’ve been working on my leadership skills”). Created a plan but has fallen behind schedule, makes statements to indicate plan is not a priority. Low answer: States that s/he is strong in everything, talks only about what s/he does well and demonstrates minimal awareness of personal development areas. Or, acknowledges development areas but did not create a plan to address. 2. When is the last time you solicited feedback from a client or colleague? What was the feedback and what did you do with that information? Strong answer: Cites an example of proactive solicitation of feedback within the past several months. Indicates this is something s/he does on a regular basis. Takes action on the feedback to improve personal skill or product/service delivery. Moderate answer: Cites an example of soliciting feedback more than several months ago. 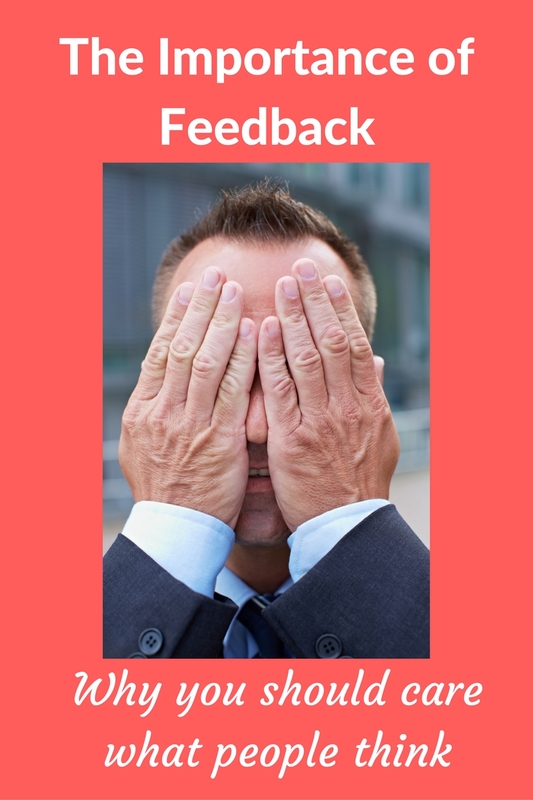 Feedback solicitation may have been required as part of broader organizational effort (e.g., performance management, customer satisfaction survey, etc.). Or solicits feedback regularly but takes no action on it. 3. What skills or competencies are you currently working on improving? What goals have you set and how are you tracking your progress? Strong answer: Indicates s/he has a specific goal and detailed plan with specific actions linked to improve in a particular area. The plan is documented either on paper or in a technology product. The plan is on track in terms of milestones or if not on track, s/he has assessed why and made adjustments accordingly. Low answer: Indicates no current plan for improvement. 4. What do you do to make time for career development activities? Low answer: Indicates s/he wants to make time for career development activities but struggles to do so. (“This is a challenge for me. I really want to make time for my development but it has been a challenge to do so. One of my goals is to make more time to focus on my development in the future.”) Translation: they’re not making time for it. Have you interviewed candidates to identify their willingness to own their career development? What has worked well and what has been a challenge? Share in the comments! This may stress you out, but the end of the year is approaching. 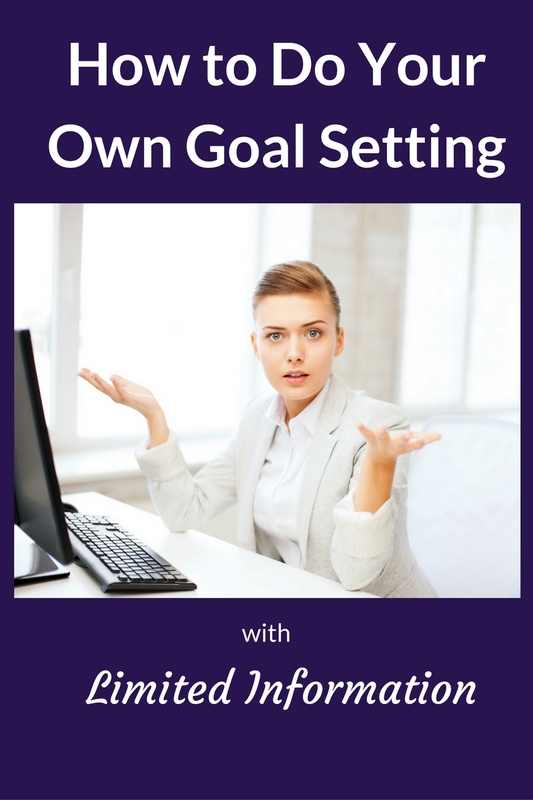 Along with a million other things, you’ll soon need to think about goal setting for next year – whether you set traditional goals annually or if you use quarterly OKRS (objectives and key results). Ideally, your individual goals will be tied to your company’s goals. This linkage is known as goal alignment. Sometimes goal alignment is demonstrated in a formally cascaded goal setting process, sometimes it’s more of an informal connection. And sometimes goal alignment of any form is just a pipe dream. A common problem we hear from our clients related to aligning individual goal setting with company goals is the timing of the release of corporate goals. Oftentimes, particularly in larger organizations, goals are released sometime during Q1 of the relevant year rather than Q4 of the previous year. This has a ripple effect of delaying employees’ ability to set their own goals, because they are still waiting for the higher-level goals to be released. Likewise, leaders of departments or business units who wish to set goals for their organizations are held back by the late release of company goals. By the time goal setting reaches the individual level, the second quarter could be well underway. At other companies, goals may be poorly defined, or perhaps defined sufficiently but not communicated down the chain of command. Either way, these circumstances leave employees in the similar position of being unable to tie their own goals to higher level strategic objectives. This is unfortunate, because the benefits to goal alignment include positive outcomes ranging from financial results to employee motivation. Here at Fast Mirror we’re all about employees taking ownership of their careers. Every individual has the power to get feedback and drive his/her career development with or without employer support. Having employer support is great if it exists, but it’s not necessary for people who are motivated enough to take independent action. In this post, this same logic will be applied to goal setting. Is it more difficult to set goals without input from your company or leadership? Of course. But it’s not impossible, and it’s no excuse to allow it to hold you back. You actually have a lot of information already at your fingertips, so there’s no reason you can’t get started setting goals now. Here’s how. 1 . Use the information you have to set goals. You may not believe you have any insight into what next year’s goals will be, but you actually know a lot more than you think. Consider your company’s main priorities. I would bet you can easily name several likely goals for next year. While the details may be tweaked, chances are those things will continue to be a priority. Are there any current initiatives that are likely to be continued in the following year? What about trends in your industry? Are there any hot topics or benchmark data that provides insight as to what’s to come? Are your competitors doing something that you’re currently not doing, but should? Finally, talk to your colleagues. What have they been working on this year? Have they heard anything about future priorities? In all likelihood, there will be few if any surprises when next year’s goals finally are released. So use your expertise as an employee in the company to determine what you should be working on. 2. Review your current state and identify what you want to change. Take a look at how things are going today. Review your progress on your current goals. What is going well that you can continue to build on? What challenges are you facing and what can you do to address them? Were there any surprises that came up this year that you can plan for in the future? Lastly, consider your lessons learned for this year. What are the areas you know need to be fixed? Consider these questions as your own personal needs assessment to identify actions for the future. This approach also works for people whose issue is lack of strategic direction rather than delay of goals communication. Just because you need to initiate your own goal setting doesn’t mean you need to do it in a vacuum. Ask your colleagues for feedback. What do your clients think needs attention? How about your direct reports? If you work on a team or project group, what is the general consensus? You can even talk to people you don’t typically work with – this may give you a whole new perspective. Be sure to ask for feedback from people who will be comfortable enough to give you constructive suggestions rather than simply telling you how awesome you are, because you can be both awesome and have areas to improve on at the same time. Do any of these goal setting challenges resonate with you? What have you done to overcome them? 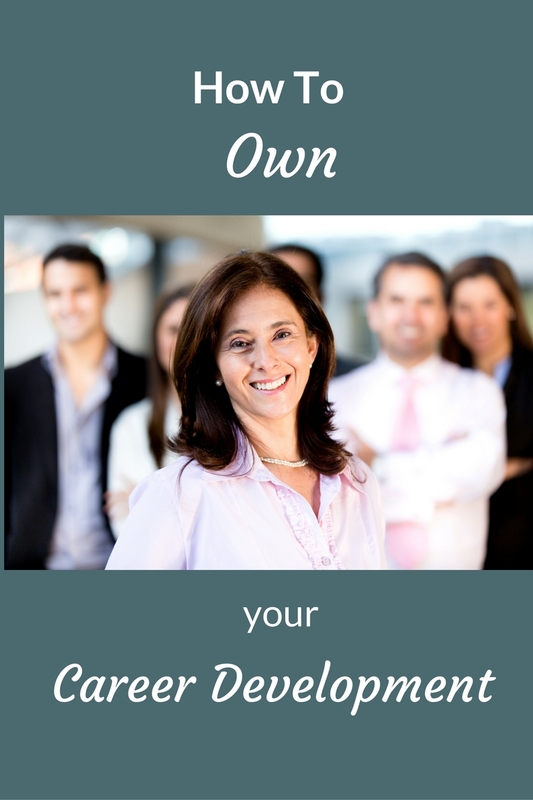 How have you taken ownership of your own goals? Share with us in the comments. Does your company offer career development resources and programs? While there are some great companies that do, they are in the minority. Chances are you don’t work for them. People often tell me they felt stuck, trapped, or even powerless to focus on their career development because they feel their employers aren’t doing enough to help them. “My company doesn’t provide good training,” “My boss won’t support me in getting a cross-training assignment,”, or “I wish there was a clear career path laid out for me” are common criticisms I continue to hear despite the benefits that companies may reap by focusing on employee career development. Back in the day, these might have been valid complaints. When employees signed on to spend the majority of their professional years in the same company, HR departments were charged with developing and implementing a host of career pathing options and skill-building programs to facilitate advancement and movement of internal employees. They also provided training for employees who intended to stay in the same job (ask a Baby Boomer about that concept if necessary) to keep their skills current and keep up with industry changes. With all that hand-holding, it was easy for employees to sit back and wait to be invited (or ordered) to participate in career development activities. Today that really only happens with compliance training. And that is the way it should be, because if you think about it, it’s not an employer’s responsibility to develop its employees, it is the employees’ responsibility. Why should your company or even your boss be responsible for your career development? It’s your life, not theirs. If you’re like many, you agree with this concept, but instead are struggling to figure out exactly what to do to facilitate your career development. Perhaps you’ve been handed a big pile of “resources” and a blank IDP template and told to figure it out. That’s also an old-school method that companies have traditionally provided to employees. There are much better options these days. Here is a six-step process for how to go about it. Consider your career goal and the key skills or competencies required to achieve that goal. For example, if you aspire to work as a project manager, you may identify time management, delegation, and decision-making as important skills for that role. 2. Assess yourself on those key skills. And by “assess yourself”, I mean conduct a thorough analysis that barely includes your own perspective. Solicit feedback from your coworkers. Review results of previous projects where you applied, or tried to apply those skills. Read through your old performance reviews to identify any patterns or trends. Based on this data collection, put together a summary of what you’ve done well and what you need to work on regarding those areas. 3. Based on the analysis, choose one of the skills you determined is not a strength for you to focus on for development. Write a SMART goal to develop yourself in that skill. If you need guidance writing that SMART goal, read this post. 4. Identify the learning activities that will help you achieve your goal. Traditional examples of such activities are to read a book or attend a training, but there are also more innovative things you can do. Jump online to find some videos. Find some blogs related to the topic. Talk with or observe someone you work with who is strong in the skill you’re trying to develop. It doesn’t have to take forever, it just needs to teach you what you need to learn. 6. Implement what you’ve learned to your own job. After doing so for a reasonable amount of time, assess your development effort by collecting feedback from colleagues or reviewing other available data. How is this data different from your original analysis of this skill? What would people say about your skill in this area now? Now you have a step-by-step guide for how to implement a career development plan targeted to improve your skill in an area important to your career goal. Remember that it’s not easy, it takes a lot of work, and it’s nobody else’s responsibility to hold you accountable for following through on this plan. Do you agree? Share why or why not in the comments!